GSI Insurance appointed Swarm to redefine their ever growing website. The original GSI website, which had worked well for a number of years was increasingly becoming not fit for purpose mostly due to a long list of specialist natured insurance products. 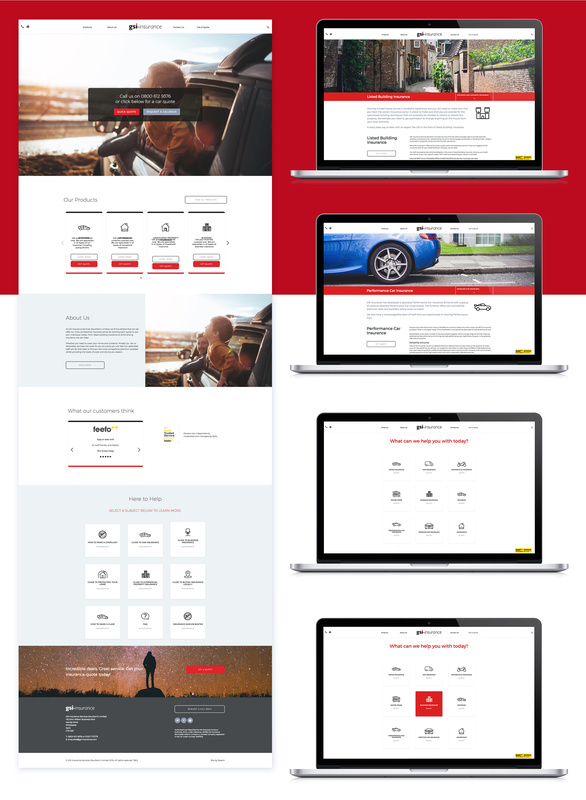 Given the amount of insurance products offered by GSI Insurance it was decided to really simplify the user journey as much as possible, this approach was formulated by using a custom icon based system which as well as giving an obvious journey for all of the insurance categories it also made sure that there is plenty of space and visual breathing room. The site is clean and simple to use even though it consists of over 150 pages. To further emphasis the more obvious direct to product user journey that Swarm had identified as being an issue for GSI Insurance website visitors. A much simplified obvious user journey needed a visual interpretation of all the insurance categories. The specialised nature of the product categories led to the creation of a custom icon set that would ensure consistency of presentation.